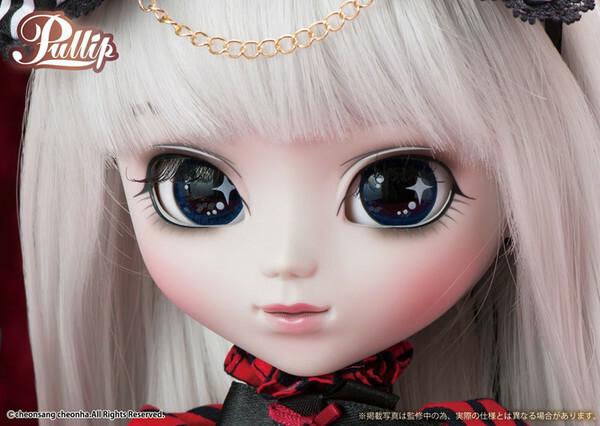 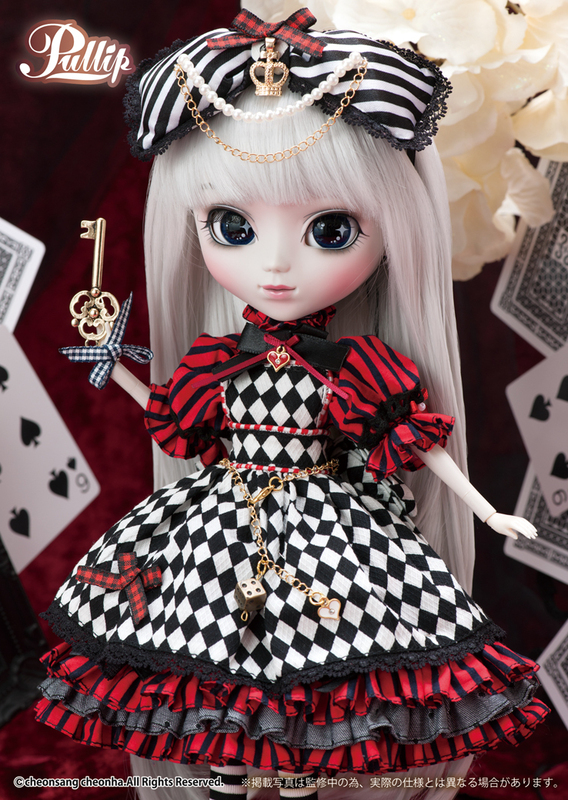 Pullip Optical Alice is the first doll in a new series of dolls based on Alice in Wonderland, these series will feature a bold new color scheme with eye popping colors! 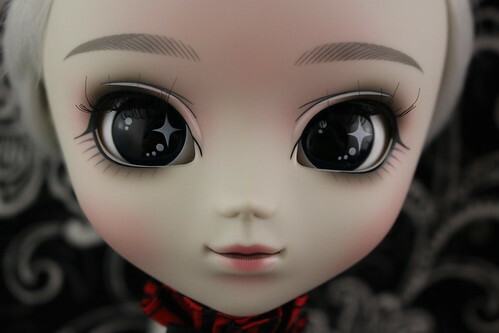 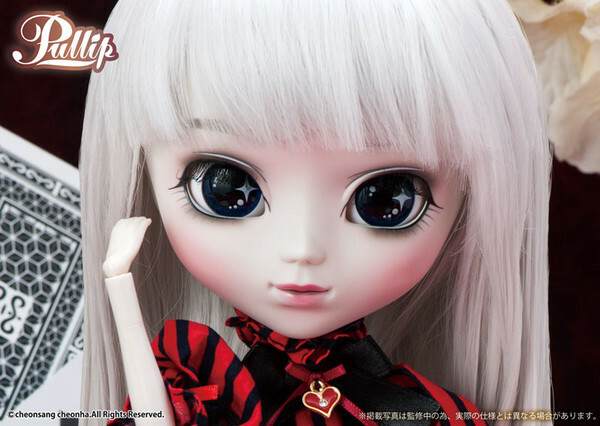 Eyes: Very dark blue almost black eyechips with bishoujo-style detailing. 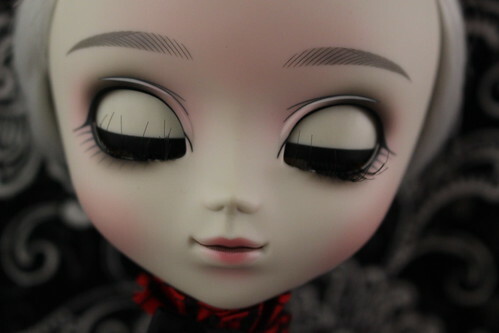 Wig: Light grey almost white hair. 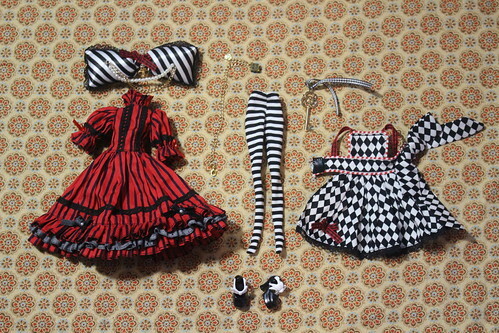 Stock: Pullip Optical Alice’s stock outfit consists of a dress, hair bow, belt, tights, apron, key accessory and shoes. 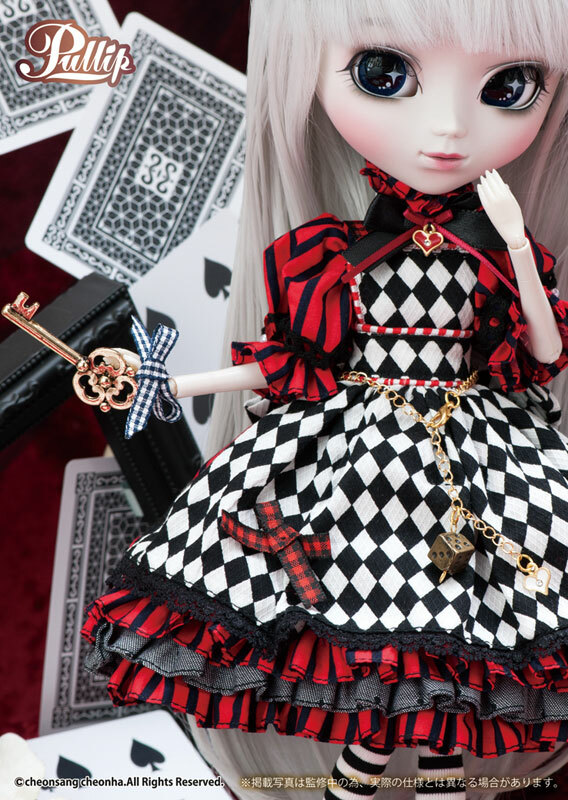 Obitsu Match: Optical Alice has an odd skin tone with an almost grey undertone to it so none of the existing obitsu options are an exact match, of the available options white would be the closest but it is a noticeably imperfect match! 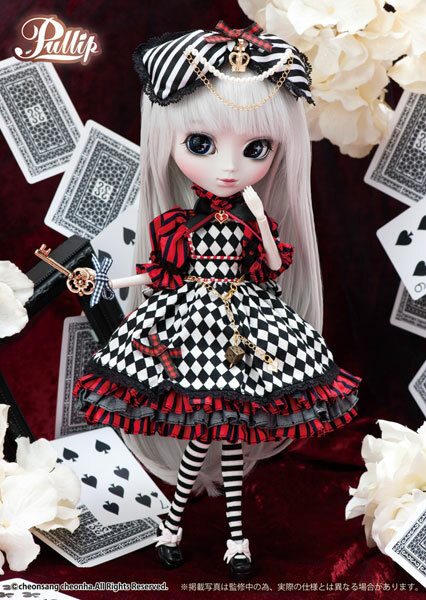 Special Notes: Optical Alice has a unique almost greyish skin tone. 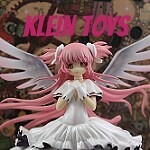 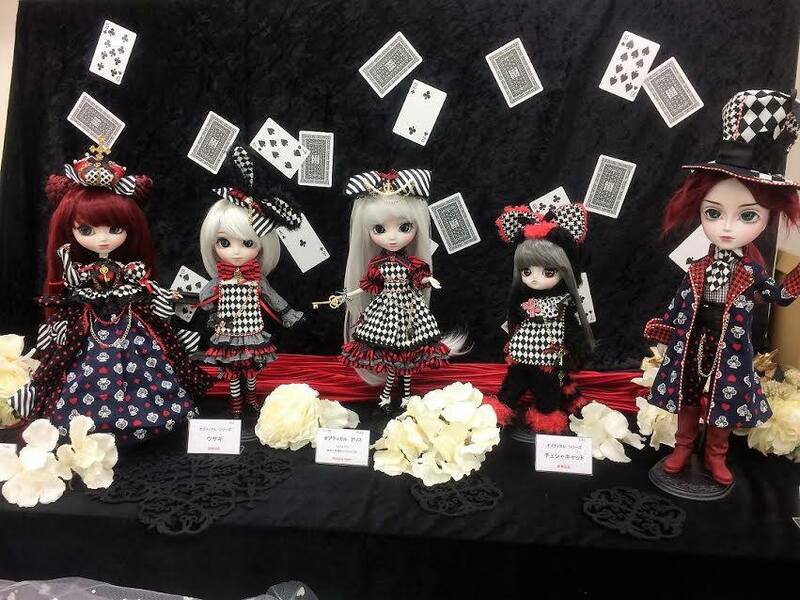 Optical Alice with other dolls from the Optical Alice series that have not been announced yet.